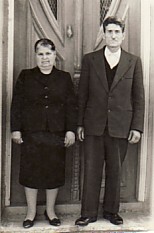 Above: My parents, Olga and Georgios. 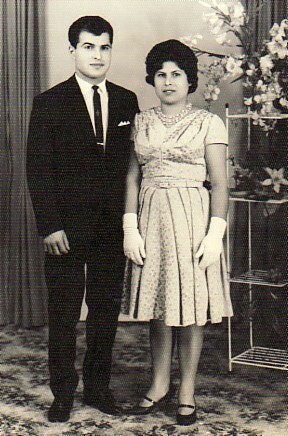 Above Right: At my engagement party; with my fiance, Ioannis Zaloumis. Behind us are: 'Charlie' Moutzouris, Nikos Boutsikakis, 'Jack' Moutzouris, Aristides Asproloupos, Georgios Tragakis and Penelope Tragakis (nee: Zaloumi). 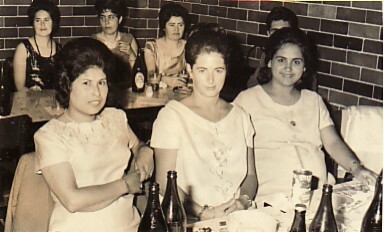 Above: With Angela Hondrou (middle) and my koubara Ekaterina Moutzouri. Above: With my brother, Panagiotis Armenakas. Above: Holidaying in Plomari, 1968. We are saying our goodbyes to relatives. 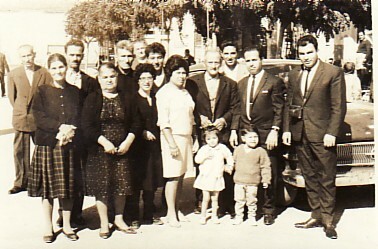 L-R: Ioannis Armenakas (background), Permathia and Pandelis Moutzouris, my parents, Olga and Georgios, Nikos and Irini Stergianou, me, my fahter-in-law, Nikos, Efstratios Tragakis, my husband, Ioannis, and 'Charlie' Moutzouris. The children are my son, Nikos and my niece, Tasoula. 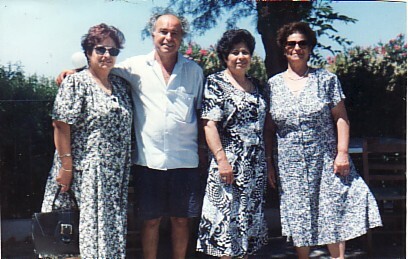 Above Right: With my children, Olga and Nikolaos. 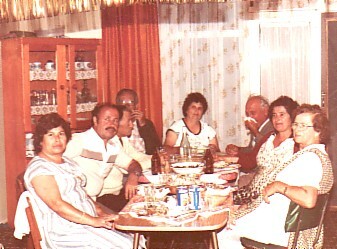 Above: With family and friends. 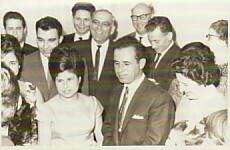 L-R: myself, my husband, Ioannis, Georgios Tragakis, Efstathios and Mersina Michales, Panagiotis Moutzouris, Penelope Tragakis and panelope Moutzouris. Above Right: With my siblings. L-R: Sultana, Panagiotis, myself and Anthoula.